11:11 is the debut album by singer-songwriter Regina Spektor. It was self-released on CD and sold at Spektor's early shows. The album is now out of print on CD and much sought-after by collectors; it is available as a download from online music outlets such as the iTunes Store and Amazon MP3. 11:11 is the debut album by singer-songwriter Regina Spektor. It was self-released on CD and sold at Spektor's early shows. The album is now out of print on CD and much sought-after by collectors; it is available as a download from online music outlets such as the iTunes Store and Amazon MP3. The album is full of pop, jazz, and blues influences. It is reflective of Regina's life in her career beginnings. Her laid-back jazz style comes from the late-night clubs she played at. The music thrives in moments of surprise like modern and post-modern classical. It also moves and responds within itself like a tight jazz ensemble. 11:11 could be summarized as Regina's wish to create music, no matter how simple or self-indulgent. 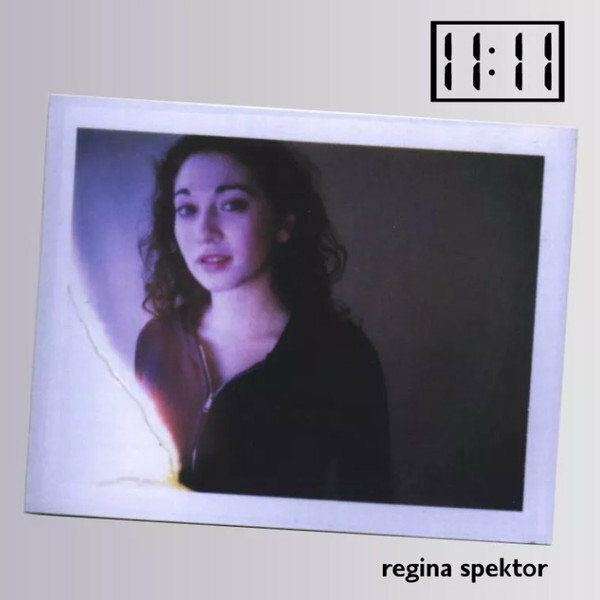 Even if the album feels bare at times, Regina fans will love 11:11 for what it really is: her decree for creativity and her display of willingness to experiment. It sets essential groundwork for the rest of her career.